Development of oil and gas resources has detrimental effects on the environment through the emission of several toxic gases. The U.S. oil and gas industry annually pollutes the air with almost 8 million metric tons of methane, according to the EPAs most recent inventory. The drilling and extraction of natural gas from wells and its transportation in pipelines results in the leakage of methane, which is 86 times stronger than CO2 at trapping heat over a period of 20 years. Along with methane, oil and gas operations release toxic pollutants into the air, called Volatile Organic Compounds (VOCs). These include benzene; NOx compounds such as nitric oxide and nitrogen dioxide which combine with sunlight and produce ozone, and hydrogen sulfide gas which can cause breathing difficulty, eye and throat irritation, and is fatal at high levels of exposure. While Colorado and Wyoming have regulated the venting, leaking and flaring of methane gas, the current administration has been working hard to eliminate federal rules that would regulate methane leaks nationwide, which would weaken the effects of individual state efforts. Unconventional oil and gas extraction (which is an industry term for fracking) has effects on local and regional air quality. Those living less than half a mile from fracking well sites are at greater risk of health effects from air pollution. Families living near oil and gas development report incidents of asthma, respiratory and cardiovascular illnesses, autoimmune diseases, liver failure, cancer, headaches, nausea, sleeplessness and other ailments. 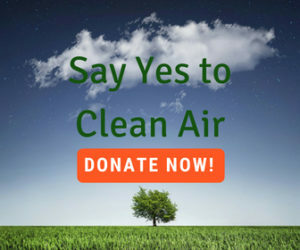 Citizens for Clean Air has been very active in asking state and federal officials to regulate the venting, flaring, and leaking of methane gas from oil and gas development. Our members testified before the Colorado Air Quality Control Commission in 2014 about how methane contributes to the formation of ozone and poor air quality on the western slope. Colorado was the first state in the nation to pass rules to regulate methane waste in 2014, and Wyoming followed with their own regulations in 2015. Other states have looked to Colorado and Wyoming to strengthen their own rules on venting and flaring methane. 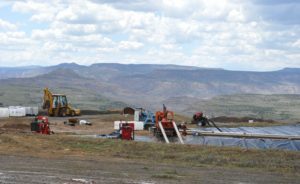 In 2016, the BLM and EPA used the Colorado methane rules as a template for rules that regulated methane emissions. After the elections, some lawmakers tried to use the Congressional Review Act to dismantle the rules and prevent similar laws in the future, but they were unsuccessful. In April of 2017, the EPA announced they would begin to formally repeal the 2016 federal Methane Rule, and in June of 2017 the Deptartment of Interior delayed compliance of the rule for oil and gas production sites on federal land. In July of 2017, the Court of Appeals for the District of Columbia Circuit rejected the EPAs reasons to delay the rules enforcement and ordered the agency to enforce the rule. Then in September of 2017 the U.S. House of Representatives passed an amendment that prohibited the EPA from enforcing the methane rule. As it stands, there is a new EPA administrator who will also influence this ruling and the administration of methane regulations. The story is ongoing. Throughout this all, Citizens for Clean air has testified to the importance of regulating methane releases. We have sent representatives to the Colorado Air Quality Control Commission hearings in Denver, and hearings in Rifle, Aurora, Utah, and Washington, D.C.
Why is this important? Methane is a potent greenhouse gas that increases the risk that ozone will form on warm summer days. Just to the northwest of us, the Uintah Basin has violated clean air standards for ozone even in the winter. That pollution can end up in the Grand Valley as well, since prevailing western winds can carry it in our direction.